New USB-C protocol paves way for more secure connections with "the single cable of the future"
USB-C is almost everywhere. 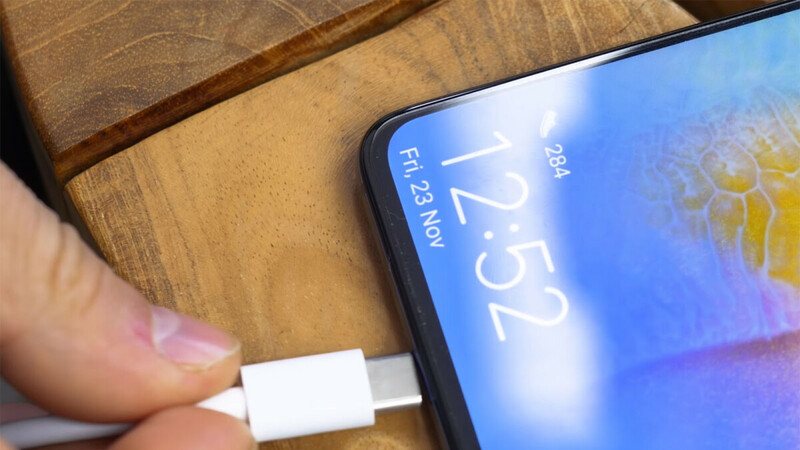 And if you could still say that too many devices in 2018 still used the old microUSB port, chances are that in 2019, USB-C will truly be everywhere. So it's nice to know that the USB Implementers Forum, the organization driving USB innovation, has now launched the brand new USB Type-C Authentication Program that will help protect your device from data leaks, viruses and all sorts of evil. What this new protocol does is not directly adopt these standards, but rather set the guidelines that equipment manufacturers should follow with their devices. Namely, it details the optimal cryptographic-based authentication for USB-C devices and chargers. The new protocol basically outlines a way for the device or charger to instantly check the authenticity of the connection, the moment this connection is made. In practical terms, this means that your phone could limit charging to only authorized chargers. This could also be used in enterprise, with a company limiting access to only verified USB-C devices. Needless to say, this would be a tremendous security boost. These would be some welcoming features. You forgot the Apple adapter needed to use this standard connector. Only android fans are ridiculously crying about it. Because apple still sells their products. Your word doesn't make sense, that's not how you use "because". Apple already implemented this protection system in lightning USB accessories so nothing changes. Wasn’t this implemented into very early lighting cables long long ago? I remember trolls ridiculing Apple for trying to make extra cash on their MFi compagn, because that would stop cheap third party cables to work with Apple devices because it would reject them for same security principles as outlined above. But now (as stated by probably same commenters) “ it’s a welcome feature”? Absolutely no lightning cable (Apple's included) is able to connect an accessory to an iPhone unless the owner unlocks the phone. We are talking about charging...genius. These Usb implementers organisation are now have become an a$$hole,they just made it beneficial for some companies like Apple, Microsoft and other conglemerate who need such useless protocol just for sake of fake excuses like avoid data leaks and viruses.This kind of dumb thing didn't existed with micro usb initial stage or last stage of it before Usb c implementation.Just show these greedy organization & corporates needs another way to earn money. You might be right, actually. Has anyone anywhere ever experienced data leaks or gotten a virus from a charger?? Yes, Apple; that's why it has already implemented the feature. Plus every single Android device can be unlocked by dedicated accessories and its data exposed to hackers (or governmental agencies).